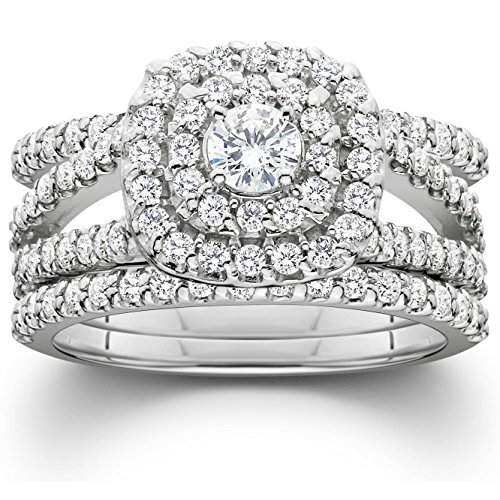 This women's ring set features a 1/5ct diamond and round cut accent diamonds set in solid 10k white gold. If you have any questions about this product by Pompeii3 Inc., contact us by completing and submitting the form below. If you are looking for a specif part number, please include it with your message.